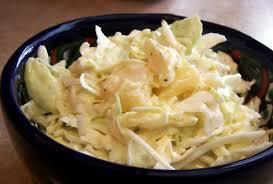 Take them off the head of cabbage and cool slightly. 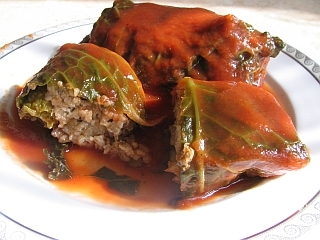 Into each leaf put about 1/2 cup of meat mixture rolled into a ball and place in center of cabbage leaf. Fold bottom, sides, and top and fasten with tooth pick. Cook for 1 1/2 hours in large pan with margarine and add tomato soup and water.